Don't get stuck without access to your funds — or worse, having to pay a huge fee for a non-Sunnyside ATM. 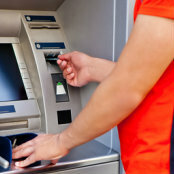 Now you can enjoy access to thousands of fee-free ATMs across the country, whether you're in New Jersey or New Mexico. Just use the handy ATM Locator to find the one nearest you.